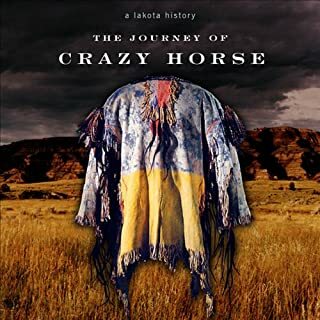 This carefully researched exploration of Native American culture investigates the complex, often misunderstood histories of hundreds of indigenous peoples. 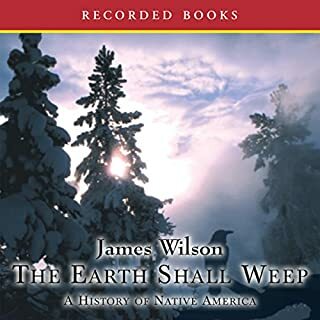 Author James Wilson has drawn from ethnographic and archaeological studies, historical texts, and the rich written and oral traditions of Native Americans to complete this important work. 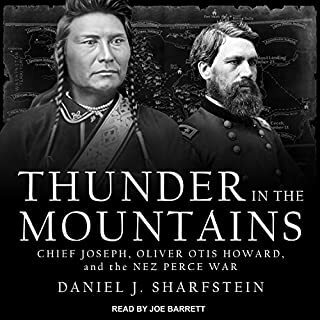 This sweeping American epic reveals one of the greatest untold stories of the 19th century: the fierce rivalry between two great Cherokee chiefs that led to war, forced migration, and the devastation of a once-proud nation. 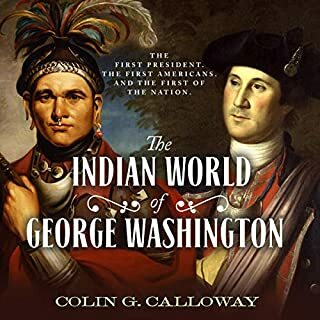 In this epic saga, John Sedgwick brings to life an untold chapter of American history through the relationship between one chief called The Ridge, a fearsome warrior who spoke no English but whose exploits on the battlefield were legendary, and John Ross, who was the Cherokees’ primary chief for nearly 40 years, yet displayed the Scottish side of his mixed-blood heritage and spoke not a word of Cherokee. To protect their sacred landholdings from American encroachment, these two men negotiated with almost every American president from George Washington through Abraham Lincoln. 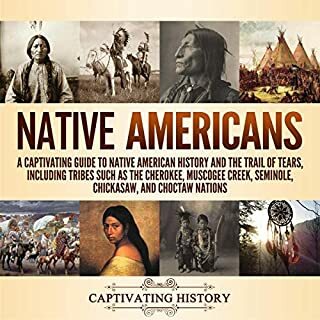 At first friends and allies, they broke on the subject of Removal, breeding an enmity that led to a bloody civil war within Cherokee Nation that culminated in the two factions battling each other in the War Between the States. 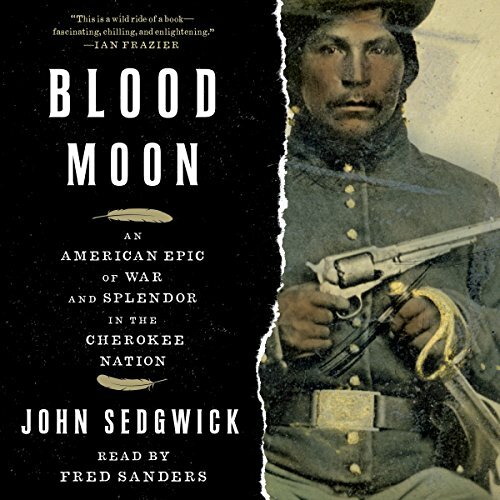 Dramatic, far-reaching, and unforgettable, Blood Moon paints a portrait of these two inspirational leaders who worked together to lift their people to the height of culture and learning as the most civilized tribe in the nation and then drop them to the depths of ruin and despair as they turned against each other. Theirs is a story of land, pride, honor, and loss that forms much of the country’s mythic past today. I am of Cherokee decent and am currently searching for information about my heritage. All records were burned and I have, miraculously, one remaining picture of my Native Great Grandmother because of the hate that still runs deeply from, sadly, my own relations, mostly of English ancestry. How is it that people are still so consumed with judgement in an age when we should be most enlightened? 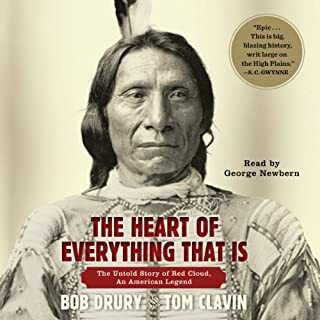 Beautifully written, this book/audiobook is a sad testament of the damage that hate, ignorance and ego-driven greed can cause. I hope we will learn from the history shared here and chose better for our present times. This is a true story so these were real people not just characters as you say. I only liked the people who really tried to help the Indians. Not those who were greedy & only wanted money & fame for pretending to help them. No, his voice was raspy sounding & annoyed me so much so that I had to shut off the tablet to rest my head as it gave me a headache. Every thing that was said about the whites taking the land from the Indians mad me sick & the way the Cherokee were treated. I am totally disgusted with my people who treated these proud tribes with such disregard & beat them & killed them by taking their land & hunting grounds from them & bringing death & hunger & disease to them. I have more empathy for the Indians than I used to after hearing all the things they had to had live through or should I say died for. I am 1/4 Cherokee. I am appalled at what they went through. People can be so cruel & inhumane to other people & animals. I am ashamed for my white ancestors who did this to the first people who were here first before the whites came & destroyed their freedoms. This book takes a complex subject in American history and breaks it down to an understandable narrative. No one is nessisarily the "bad guy", but it does last out everyones flaws who were involved. Decent storyline, just tragic. Injustice was the rule in Georgia, murder and tyranny in Oklahoma, John Ross had an iron grip upon the government of the Cherokee and procrastination cost the tribe dearly on the Trail of Tears. The narration wandered to and fro,, i would have liked staying with one storyline at a time but then again the story was complex and fascinating. Recounting the downfall of a civilized tribe isn't going to be pretty, The tribe has adjusted to the modern world yet lost something special. Seeing them honor thier past gives one hope. I can attest that restaurant menues and newspapers prove that the Cherokee language is alive and well. As ever the USA are shamed by their treatment of natives. A hard story, super research, narrative could be better.